We are enjoying great teaching, fellowship, and southern heat and humidity. Well, I’m not sure we’re enjoying that last one, but it’s part of the whole deal of being in the south. Thankfully, we don’t have to venture outside. Thursday afternoon before the conference started, Kimberly and I walked a little ways down from the hotel to get lunch. We actually went the wrong way to begin with (all my fault) and were bothered by a man, whom we had to scurry into a Subway to escape because he was becoming scary. We were both a bit shaken by that, but God is good, and the Subway workers were very kind. Anyway, we stopped at one corner, after we ditched the guy, and I took a picture of some churches down the way. I wish it were better, but the crosswalk light turned just as I snapped the picture, and it was so bright outside I could barely see the screen on my phone. Not to mention the fact that as soon as we walked outside, we began to perspire/glow/SWEAT! Had I had more energy I might have walked that way to see them better. I just love old architecture. I’m writing this…well, most of it, on Friday evening. A train is blaring outside the window and these weird little contraptions keep going past on the road below. They are called Party Bikes. Approximately 12 people sit on bike seats–6 per side–and face what appears to be a bar-like middle section. Some of the seats have pedals like on a bike. I’m not sure if their efforts actually make the contraption go or not, but I’m not sure I’d put my life on the line in the middle of Nashville traffic with a bunch of possibly intoxicated people trying to pedal to make the thing move. It might be interesting, though, if a bunch of friends (drinking soda or water) did it–maybe in the fall when it’s not 90+ with a heat index over 100. 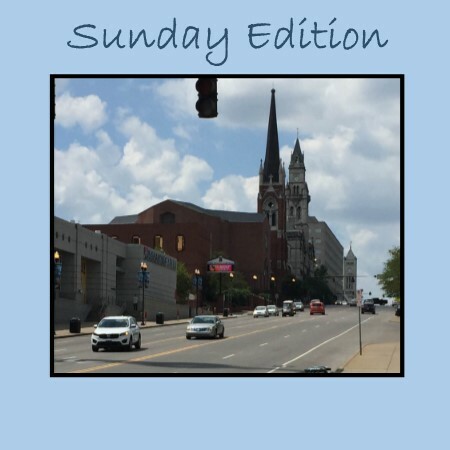 Since this is my last Sunday with you, I pray you have a blessed fall, and don’t forget to comment for a chance at one of our great Back-to-School giveaways. This is the last week. Winners will be announced September 11th. Jessica Browning is the winner of Montana Match by Merrillee Whren from her August 23rd post, Stereotypes. Catherine is the winner of an e-copy of Broken Freedom by Ginger Solomon from her August 22nd post, Happy Monday. 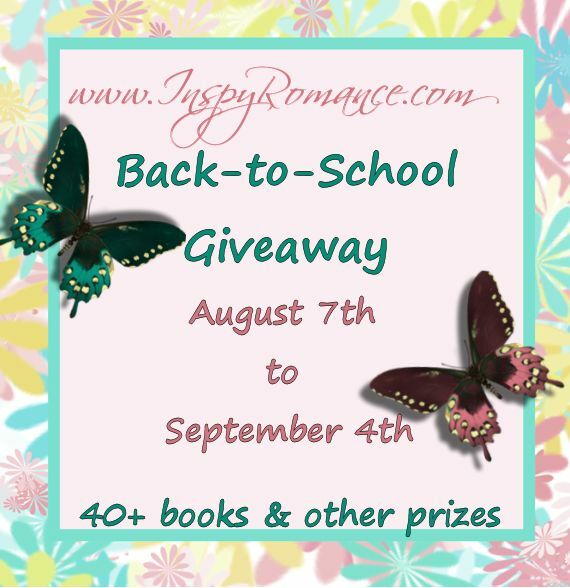 Mandy and Katy C. are the winners of a digital copy of Butterflies on Breezes by Valerie Comer from her August 17th post, My Life: The Romance Novel. What a great thought, Wemble. I love it. I’m glad you had a nice time, Ginger. What a great photo of everyone! Thanks, Jill. This conference was God-ordained for me. Lots of encouragement and affirmation, most of which had nothing to do with my writing. Sounds like I had an interesting and fun time in Nashville. Thanks for sharing. It sounds like you all had a FANTASTIC time this last week. I saw lots of photos and posts on Facebook. I’m glad you all got to be together it seems like being an author could get a little lonely. Well, unless you count all the characters talking in your head. Hehehe! Hope this week you can rest up from all the activities, sometimes it hard to come down after a big event. Take care! Thanks, Marylin. Writing can be a lonely career, but for many of us, myself included, we’re introverts, and we like our quiet. It will probably take me most of the week to recover from being with so many people for the last few days. Thanks for sharing about the conference. It looks like you were all having fun despite the southern heat and humidity. Nashville and the smoky mountains is a Inspiring place for a conference. Interacting with collegirs is always an encouragement. Glad you ladies for fun. Attended an English teachers conference in Nashville in 2006. Also have friends, who live north of Nashville near the Kentucky border, and visited there in just this spring. Best wishes. Happy writing. Collegues. Need to learn to type. It was an encouraging weekend–at least for me. God spoke to me in most unexpected ways. But I think I’ll save that story for my next regular post. Loved the blog and a picture of some of my favorite people. Sounds like you are all having a great time of fellowship and stoking of those creative flames. HI Ginger. Yes the weather here in the southern-mid-Atlantic is very hot and humid and has been all summer! This weather will test your deodorant to the limits-LOL!!! Great photo of you and the Inspy girls. Glad you had fun at ACFW. I look forward to hearing about the event and new stories coming soon. Blessings! I’m sure someone is bound to write about the conference this week. :) You’ll probably know more than you want. 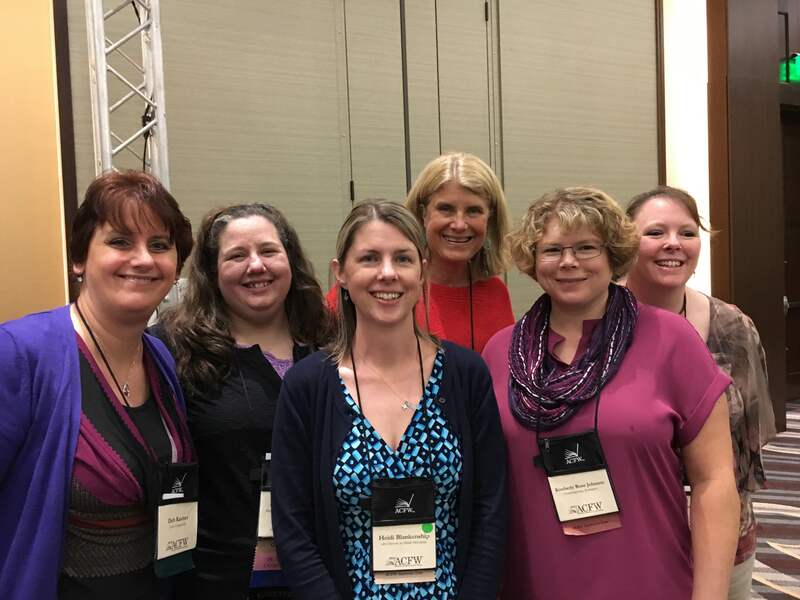 So good to see that some of you Inspy ladies were able to get together at ACFW and get a picture!